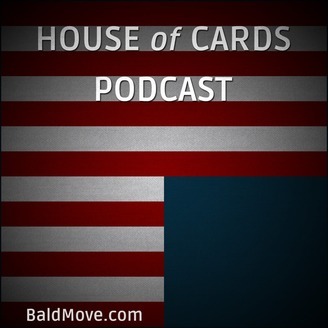 Bald Move’s House of cards podcast. 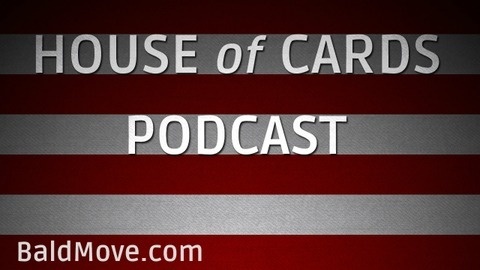 We wrap up our coverage of House of Cards season four today with a deep dive on the stunning finale, “Chapter 52”. All out war has been declared, as it feels like 7 shoes have dropped on the Underwoods, and we’re waiting for the other 3. We discuss foreign policy, the touching love story of lizard man and liver woman, Presidential gaming, and FBI goon squads. Then we discuss our overall thoughts on season four, look ahead to season five, and cover the final thoughts from our listeners. Thanks for coming along with us, we had a great time, enjoyed all of the discussion, and greatly appreciate your support. See you next year!